Who doesn’t love a good movie or a good TV show? It’s always more enjoyable when you can view your movies or TV shows in pristine visual resolution. In case you’ve been living under a rock, there are new resolution rates that making watching movies or TV shows look like you’re at the movies, or even in the movies. For the longest time we’ve had the 720p and 1080p resolution rates as the standards at which we view our programs. Now we have 4K resolution, and it definitely looks remarkable. The only thing is that maybe you want to watch your programming on something other than your TV. This is where a 4K projector would come into play. The only problem is that Sony’s newest one, shown off at CES earlier this year, is big and costs about as much as it looks like it would cost. Luckily for us, they have developed a portable version of their new 4K Ultra Short Throw projector. 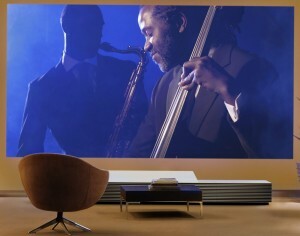 The newest 4K ultra short throw projector from Sony was shown off at CES 2014, and it looks incredible. The picture quality looks remarkable as well. The only setback, aside from the $50,000 price tag, is the fact that it’s very, very large. The projector itself looks like a very wide TV stand. Well Sony’s portable version is quite a bit smaller. 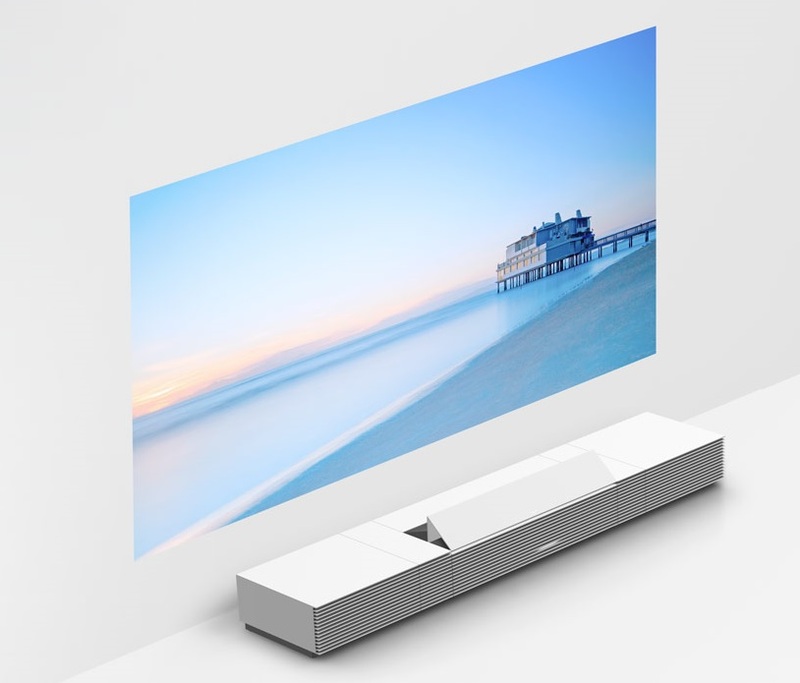 The portable version of the 4K ultra short throw projector is roughly about the size of a box of Kleenex. It’s definitely a lot smaller than its predecessor, and to be honest, that makes it much more interesting to me personally. The features that it includes also give you a reason to look at it, and consider investing in it. That’s right. 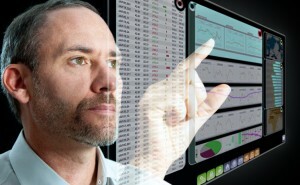 You can directly interact with the images that this projector displays. 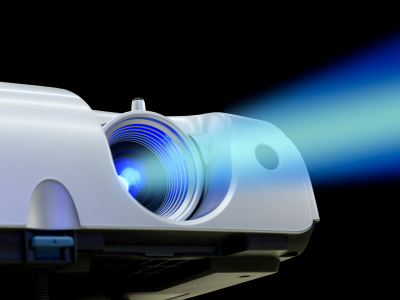 The projector itself beams a 23-inch image of whatever it is you’re viewing at the moment. It expands on something that was already looking really good with the larger version, as all of the images are still being displayed in stunning 4K resolution. These 4K images are also very interactive as you can stick it to your refrigerator door and have it display pictures or reminders that you can then move about with your finger. It can also connect wirelessly to your phone so that you can show photos directly from your phone and have the projector beam them out immediately. The interactive mode means that you can move the photos, or if you’re reading an article, magazine, or cooking recipe, you can “move” the pages as you need to. It’s a lot smaller than the larger model that was shown off at the CES event earlier this year. It’s extremely portable, and it seems that portable projectors are getting more and more popular. This particular projector is also waterproof, so if you feel like watching a movie while relaxing in the tub, you can totally do that. It’s all really up to you once you invest in this projector. The 23-inch display isn’t a bad screen size considering the size of the actual device. 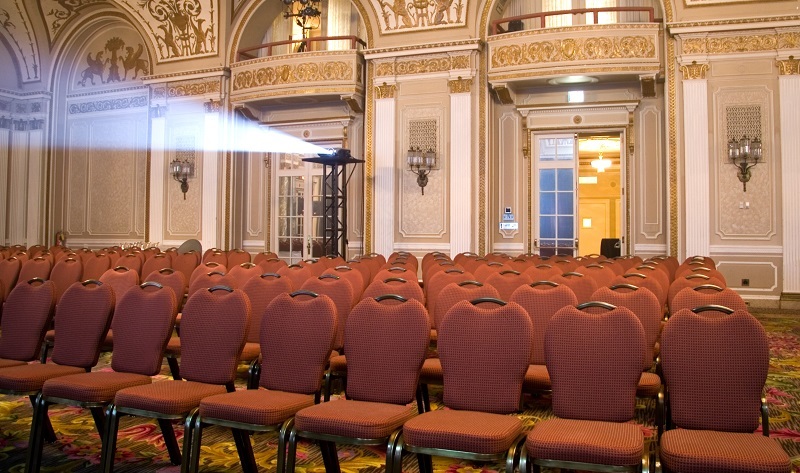 No price has been given on the new portable version of this projector, but something tells me that it won’t be in the $50,000 range like its larger counterpart. It could definitely be a good investment for recreational purposes, or even for smaller business meetings where you want to make things a bit more interactive. No matter which way you look at it, 4K is still doing everything it can to make sure it shows up in your life somehow. If you’re looking for a projector, why not get a portable one, especially one that’s short throw in 4K. Sony just might be onto something here.